The activities of the Physics association of the year 2017 was inaugurated by Dr. S. Suresh Babu, Shanti Swarup Bhatnagar Award Winner 2017 on 30th October 2017. The department honored its outstanding alumnus on the occasion. 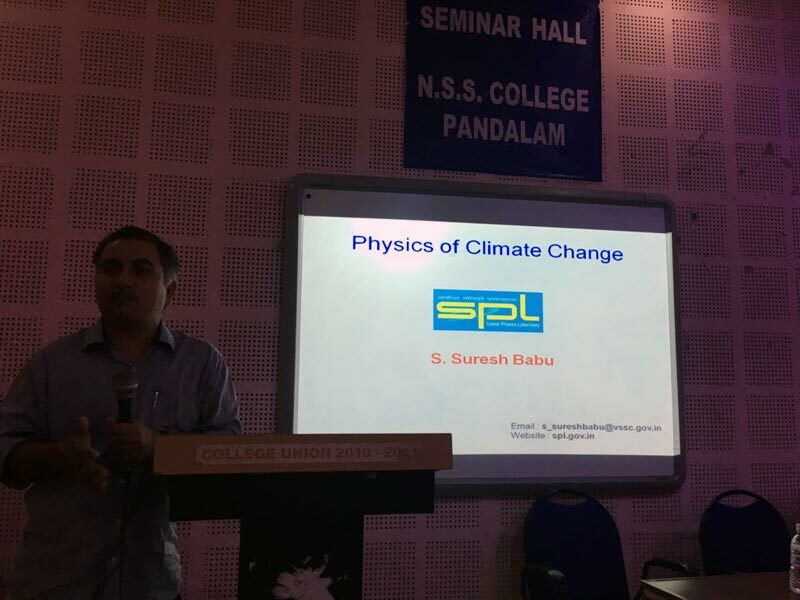 Dr. S. Suresh Babu delivered a lecture on "Physics of Climate Change" and interacted with the students. 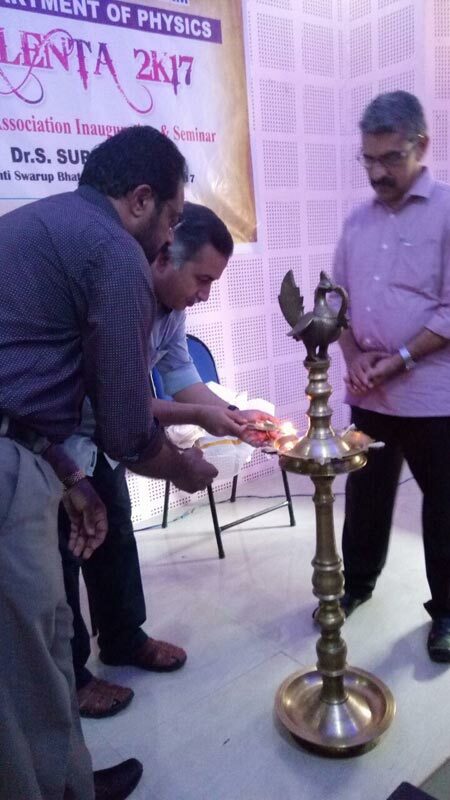 Presently, he is the Head of Aerosols and Radiative Forcing Section, SPL, VSSC, Thiruvananthapuram.